Work-style gear packs proper riding protection for retro fans. Workwear company Dickies are branching out into full-scale motorcycle clothing with a range that takes inspiration from the café racer scene. This jacket is designed, like most of the range, to look like ordinary work gear but to perform like full-on riding kit. The Canvas jacket is equipped with a breathable waterproof membrane and there are pockets for shoulder, elbow and back armour. The pockets are welded to keep out water and there’s an inner wind cuff behind the main zip to block drafts. It’s made from 100% cotton yarn-dyed canvas with reinforcements at the sleeves and shoulders and has a cross-pattern internal lining and a series of internal pockets to carry essentials. 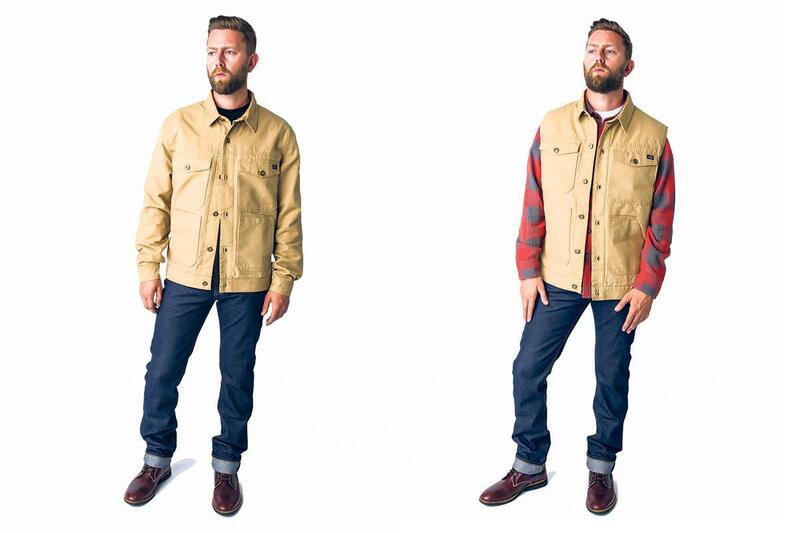 The Canvas, which is also available in a sleeveless form, is one of three jackets from Dickies, being joined by a fuller-length waterproof and breathable jacket called the Wax, which is belted at the waist with a high collar and will be available for £219.99. The third jacket is a bomber-style number that’s fully lined with Kevlar to provide abrasion resistance and pockets to accept Forcefield CE-approved body armour. The price on the bomber jacket is to be confirmed. Armour is an optional extra in all three jackets, with the Forcefield kits covering back, elbow and shoulder costing £69.99. The jackets will be joined by a series of lined denim jeans and armoured shirts, which are popular with urban riders and café racer owners. The Dickies Motorcycle Outfitters range will be available, along with a collection of casual clothing, by the end of the summer. 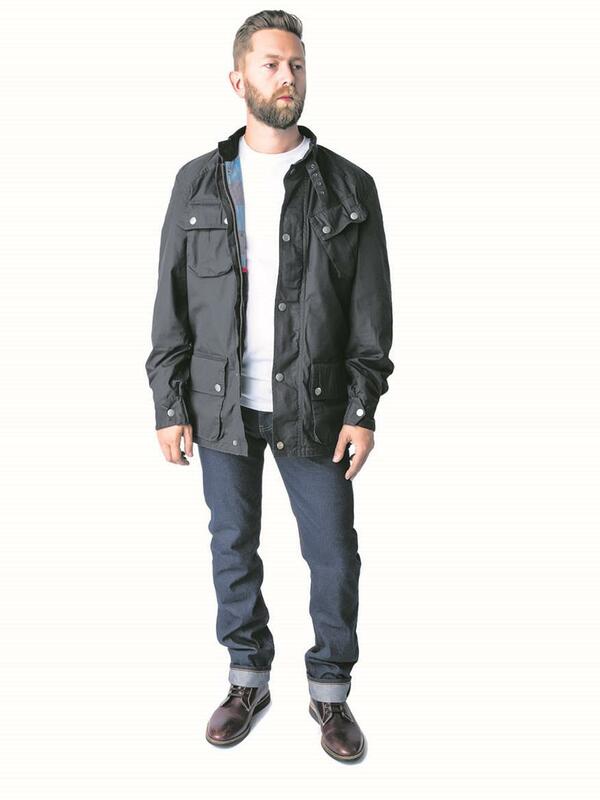 Merlin Sandon £179.99 - Using Scottish wax cotton, this jacket looks the part and is protected by a waterproof and breathable membrane and comes with shoulder and elbow armour.